STEP – the projects name stands for Strawbale Building Training and Education for Professionals. 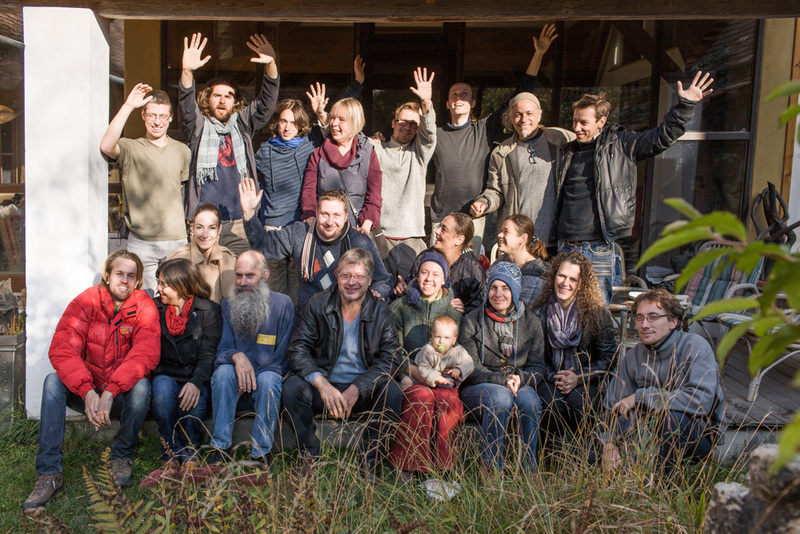 Participants are Austria – ASBN (Austrian StrawBale Network), Germany – FASBA (Fachverband Strohballenbau Deutschland e.V. ), France – RFCP-Les Compaillons, Reseau Francais de la Construction en Paille, Slovakia – ArTUR, Architektura pre Trvalo Udrzatelny Rozvoj, Spain – Red de Construccion en Paja, RCP, United Kingdom – Strawbuild, Netherlands – Strobouw Nederland, Hungary – Magyar Szalmaépitok Egyesülete and Portugal – Universidade Lusófona de Humanidades e Tecnologias, Cooperativa de Formacao e Animacao Cultural, COFAC with Terrapalha. Detailing the main SBB techniques in Europe as best building practice. That said, the overall objective of all Leonardo projects on SBB remains the same: facilitating a sustainable, renewable, energy saving, environmentally friendly solution to ecological problems and climate change in regard to building and construction material choice through professionalization of SBB at all levels. Herbert is author of the book "Neues Bauen mit Stroh" (New Building with Straw), head of the austrian strawbale network ASBN and partner in the Leonardo-project "Strawbale Training for European Professionals (STEP). As a collector he documents European straw bale buildings since 1999 on his website (database, german), in lectures, workshops and books.